I was wandering in an unusual part of the office building the other day when I came across these. The individual with the Hulk hands has a cube full of superhero knickknacks. The caring or Jesus hands belong to the neighbor. 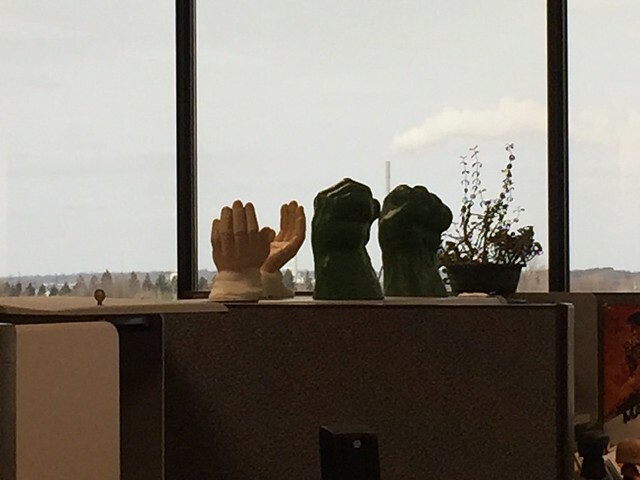 I pondered whether the Hulk hands came first, or the Jesus hands. It's a poser if you're not willing to ask.